Whether we like it or not, as leaders our behaviour and attitudes cast a long shadow over our organisations. Leadership can be a tough and lonely role requiring a healthy degree of self-reflection and mindfulness. As leaders, we must be aware that we serve as cultural ambassadors, both internally and externally. We need to 'walk the talk'. You and fellow members of your organisation exist within an established set of norms and behaviours which usually become internalised and part of the set of behaviours which guide "the way we do things around here". In time, these norms and behaviours become largely invisible to self-perception. Due to this tendency to internalise and desensitise, I find that coming in fresh as an external consultant into an organisation, that I'm often able to gain insights and perceptions that employees may not be able to recognise clearly. This month I worked with two very different organisations, one a large multinational with offices in multiple countries, the other, a smaller company that procures and manufactures their products in a couple of countries. Through discussions with employees and my own observations, it was clear that within both of these organisations there was a mismatch between what was being 'espoused' and what was being 'practiced' at the senior levels. The fact that they were operating in two very different industries was irrelevant; the inability of their leaders to practice what they preach had the same effect � confusion, disillusionment and low staff engagement. Inappropriate behaviours that don't reflect stated organisational values and culture become fodder for harmful conversations and stories. Ultimately people determine culture. Leaders have the power to create and destroy organisational culture. Prof. Binna Kandola OBE, Business Psychologist, Senior Partner and Co-Founder of Pearn Kandola Consultancy is a well-respected author and speaker. This well researched book challenges us to question our existing thinking and approach to diversity and organisational biases. 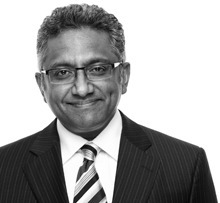 Kandola claims that the diversity movement has stalled, it has hit its own glass ceiling. A lot of time has been spent chasing the ideal of diversity and we actually have little to show for it. There is a sense that diversity is often seen as a simple matter that has been legalized, proceduralised and standardised. 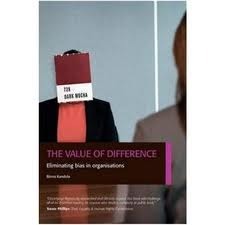 'The Value of Difference' addresses why diversity is being held back by unconscious bias and makes a sound business case for why it should be tackled. We are encouraged to cease looking for quick fixes in places where we have some solutions, and to dig deeper into our own prejudices and biases. We need to recognize and acknowledge our own biases; only then can we address and modify our behaviours. "The Value of Difference: Eliminating bias in organisations"